Being in extreme chill mode this Sunday, I decided to speak to Mildred Payne. I asked her to design a layout which she did and to address some issues for my audience here on the blog in terms of the current Saturn retrograde. FYI : the Saturn Retrograde 2018 started on April 17 at 9° Capricorn and ends on September 6 at 2° Capricorn. The bottom layer of six cards in this layout represents the “underground”. It is the inner earth, where activity hidden from the rational mind triggers a response on the subconscious level of both groups and individuals. 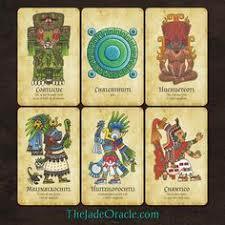 The level with four cards represents the space-time of our physical plane and what is happening around us which we can see if we pay attention but often may not be aware of or misinterpret. 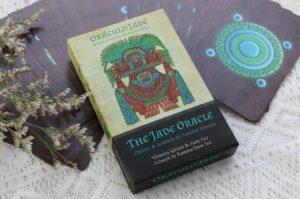 The 2 card level is that of the “double,” the energy twin each living being has and the shadow form it uses to interact with the physical realm. The double after the death of an individual can be captured and placed in other vehicles. Mildred says “dolls” are often used for this but other objects can be vessels as well. 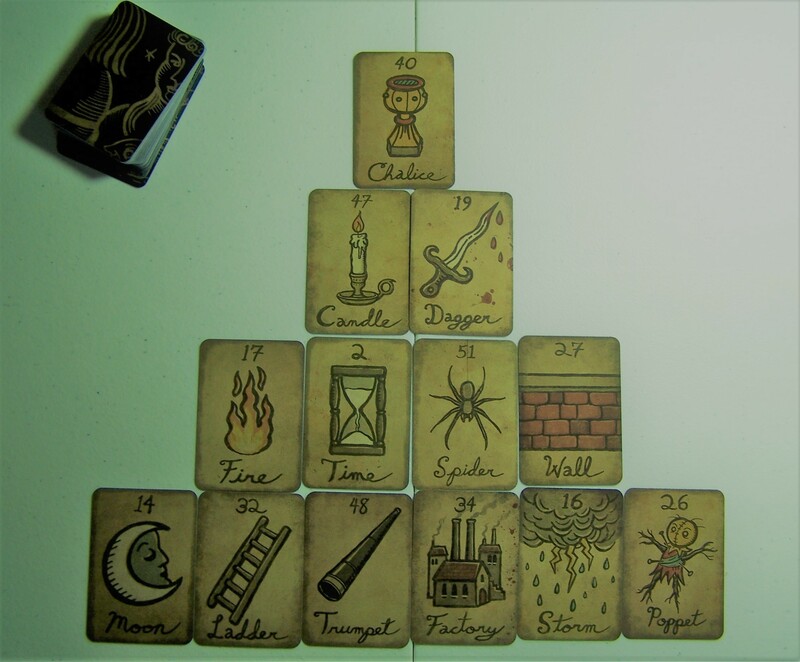 The card on top – the roof of the asylum is a spiritual seed . It is the hint of an incoming energy which is preparing to descend, i.e. entering into the process of manifestation. The commentary which follows below uses the original 52 card Secret Pocket Oracle . My method of working the layout is from the bottom to the top. The rows are read from right to the left. Controls are needed. Emotions are being worked up into a froth to rally negative forces. Spirits are using wild impulses and distraction as a ladder to climb out of the pit and spread insanity like an infection. One needs to have firm boundaries and protections in place during a “purge cycle” which is what a Saturn Retrograde actually is! Give honor to Grandmother Earth so She may hold you inside Her web until the wanton destructive energy released during the Saturn retrograde passes. BEWARE OF BACKSTABBERS! Motives previously hidden come to light. This is true for those around you, who act as projections of the shadow realm in your life and for your own bubbling internal cauldron of revenge. What is being formed on the higher energy levels during this time of Saturn Retrograde is the seed of what is sure to come to pass. DO NOT PLANT DEAD SEEDS. Fight to maintain your equilibrium and alignment now so the energy after the retrograde event passes will flow positive, joyful and abundantly. P.S. Blog readers please bear with my poor eyesight. I looked this post over many times and did not realize the layout as given by Mildred had 6 cards on the bottom level and hence 13 cards total.